Here at Girl Meets Dress, Polo is one of our favourite sports – for the speed, the horses, the excitement of the fast matches… and of course the players! 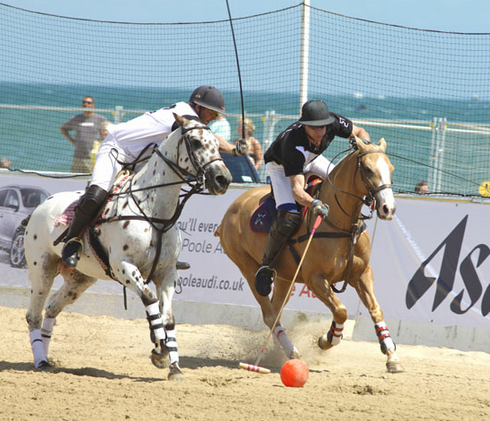 We’ll be heading down to Poole in Dorset on 6th /7th July 2012 to watch the British Beach Polo Championships 2012 and we are offering 1 lucky winner and a friend the chance to join us. 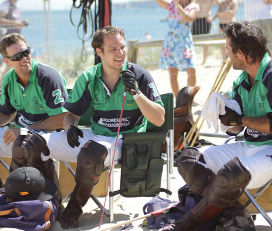 Building on the success of the last 4 years the British Beach Polo Championships 2012 promises to be another phenomenal event bringing with it widespread sporting, business and social acclaim. Floodlit beach polo on the Friday night of the event. The 4 x 4/Polo Pony Charity Race is a popular feature and raises money and awareness for Help For Heroes. The renowned AMIKA Beach Parties allow Players, Celebrities and Supporters to dance, relax and socialise until the small hours of the morning. Swing the Polo on Friday night will bring an eclectic mix of Swing and Jazz to the beach. Party the Polo on Saturday will be an electric club night. 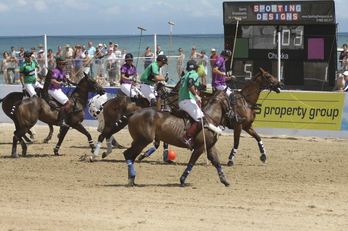 For how many years has the British Beach Polo Championships been happening? Prize – A pair of tickets to either Friday or Saturday’s Polo action + evening after party on the beach. We will be confirming the date asap. Closing date for entry is midnight Sunday 31st June 2012, all entries received after this date will not be counted. Posted June 22nd, 2012 in Competitions, Offers & Competitions, Uncategorized. Tagged: British Beach Polo Championships 2012, polo, Polo Fashion, Polo in Britain, Sandpolo, What to wear to a Polo match.